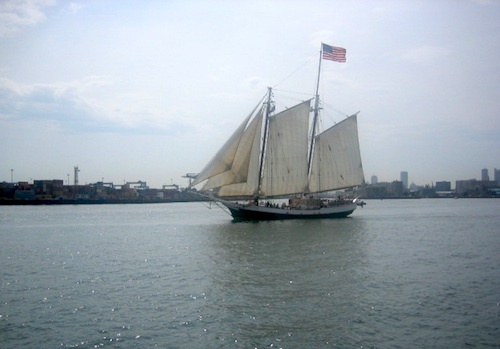 Want to experience the romance and excitement of an authentic tall ship cruise around Boston Harbor? 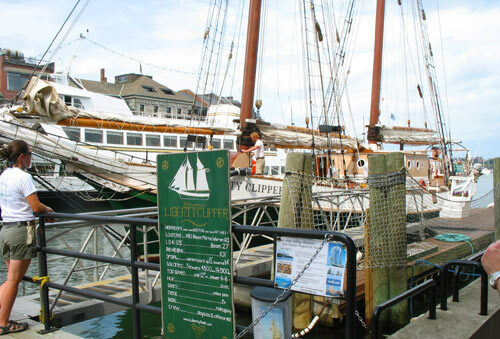 Hop on board one of the magnificent tall ships - the Liberty Clipper, the Liberty Star, and the Adirondack III - offering Boston Harbor cruises. 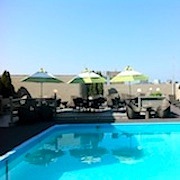 All trips depart from the convenient Downtown Waterfront wharfs. Tall white sails will billow against blue skies as you tour the Harbor on a schooner designed just like the stately tall ships that played a crucial role in Boston's history 250 years ago. As the sails catch the wind and carry you forward, you'll be transported back to the time when the white sails of hundreds of tall ships, brigantines, and sloops defined the New England coastline. 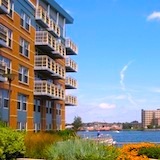 Don't miss this quintessential Boston experience! Liberty Clipper is a magnificent 125 foot gaff-rigged schooner ("tall ship") named after the sloop John Hancock used for smuggling tea into Boston before the American Revolution. She can carry 167 passengers. Liberty Star is a beautiful 67 foot classic schooner with a 39 passenger capacity. Built to exacting specifications with 3 head sails (jibs), a fore sail, and a main sail based on designs for real privateers, both ships depart from Central Wharf. During the afternoon cruises, you can relax and enjoy the experience - or take a hands-on role in guiding the ship around Boston Harbor. Set the sails, take the wheel, and imagine that you are captain of the ship - because for this short time, you will be. Choose a midday cruise and enjoy a delicious brunch, an afternoon cruise, or a sunset cruise featuring gorgeous views of the Boston skyline at sunset. Most trips last 1 1/2 to 2 hours. Beer and wine are available for purchase on board. Regular price adult tickets range from about $30 to $50+, depending on the length of the trip (usually 1 1/2 or 2 hours), the time of day, and possible inclusion of food or beverages. 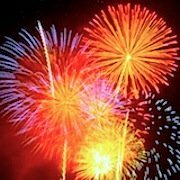 Tickets for holidays such as July 4th, Harborfest, or Father's Day will typically be higher. Adirondack III, an 80 foot tall ship based on a popular 1890's pilot schooner style, offers a modern improvement that you'll enjoy: she is designed to carry passengers comfortably. Although Adirondack III is an all-wooden vessel, she sports a sparkling glossy white overlay, teak decks, and richly polished mahogany rails. Adirondack III sails out of Rowes Wharf, carries up to 41 passengers, and offers day, sunset, and night cruises. Most trips are 1 1/2 to 2 hours in duration. Beer and wine are available for purchase on board. 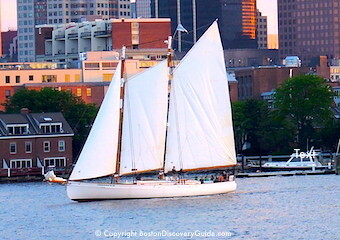 Every few years, Boston hosts an exciting tall ship festival - tall ships converge here from all over the world for a parade around the Harbor and other ceremonies. Best of all, you get a chance to tour the ships. Unfortunately, this is an "off" year. However, special tall ship events often take place during the annual Harborfest celebration in July. Usually one or two tall ships arrive for the event, and offer free tours. Check the July Event Calendar to find details. Why Tall Ships Cruised the Harbor . . . for Real! During the years before the American Revolution, tall ships brought supplies in and out of Boston Harbor on a continual basis. In fact, the Colonists depended on them to bring food staples not available locally, fabric for clothing, molasses for making rum . . . and tea. Shipping magnate and tea importer, John Hancock made a fortuning smuggling Dutch tea into Boston Harbor on his own Liberty ship. 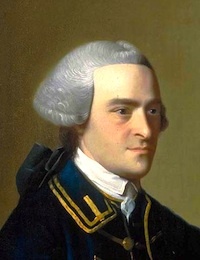 Although Hancock didn't directly participate in the Boston Tea Party, he bankrolled the revolutionary activities of close pal and fellow Sons of Liberty member, Samuel Adams. Because the British lowered the price of their tea before imposing the 3 pence tax, it actually cost less than Hancock's smuggled Dutch tea - so he stood to lose a bundle if the Colonists agreed to the tax. As President of the Continental Congress and the first signer of the Declaration of Independence in July 1776, Hancock took pleasure in making his signature especially large and bold - perhaps an "in your face" gesture, of sorts. Dates/times: Daily cruises in Boston Harbor take place from June through September. 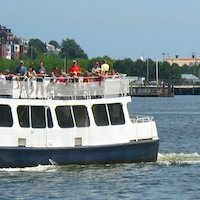 Boston whale watching cruises - Find out why lots of Boston visitors call this their BEST Boston experience!